I got this doll from an auction lot. 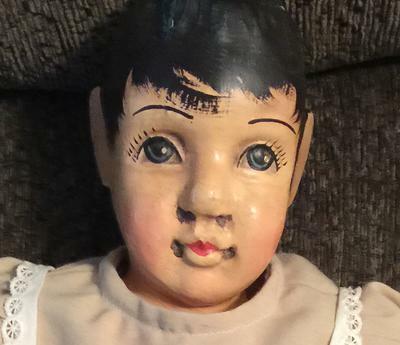 This doll has no identifying marks. 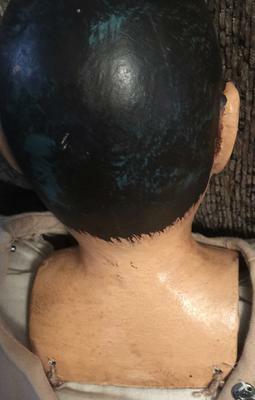 It has wooden head, feet and hands, painted face and cloth body. It looks male but is in a brown dress with a bonnet. the dolls is approx 20" tall.